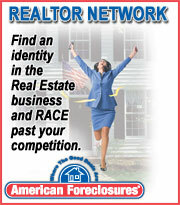 Register to receive your FREE Foreclosure alerts. We’ll notify you whenever foreclosures become available. It’s easy and FREE! To opt out of Email Alerts, click here.